Nothing is worse than running out of heating fuel, especially during the times when winter is at its coldest. Heating oil is costly, which is why you need a fuel oil delivery company that is up-front about fuel prices and strives to provide you with the lowest possible price on the best fuel products. When you rely on Family Danz for your fuel oil delivery, you’ll quickly discover that we provide you with the best value on premium grade home heating oil. What’s more, we offer special plans that will help ensure you never run out. Our quality fuel oil contains detergents that keep your system running clean and at maximum efficiency. These heating fuel additives help extend equipment life, reduce service calls, benefit the environment and save you money now and in the long run. And, the plans we offer help you stay on top of your fuel oil needs, so that you won’t have to worry about running out on the coldest night of the year. Automatic Delivery: We’ll work with you to schedule automatic delivery at no additional charge, and give you options that will allow you to take advantage of our discounted budget and prepayment plans. Will Call Delivery: If you prefer to call when you need fuel, we kindly asks that you contact our office when your tank gauge is between half and a quarter full, to allow ample time to schedule your delivery. Budget Plans: Our budget plan is a 10-month plan that averages your usage and provides a discount off the market price of oil. Prepayment Plans: With this plan, you prepay for your fuel based on the current price. You’re charged for the actual price of heating oil at the time of delivery, minus a prefixed discount. We can help with your furnace service and maintenance needs, too. Not to mention, when you work with Family Danz on your oil delivery needs, you can also count on us to help keep your oil-burning furnace running smoothly. As a full-service heating contractor, we can help you with any maintenance or repair need you may have for your furnace. And, should you need a replacement, Family Danz provides quality Bryant® heating products to help meet your needs, along with expert installation. Don’t get left out in the cold this winter – count on Family Danz to help you get the heating oil you need to keep your family comfortable when those freezing temperatures hit! To learn more or to schedule a fuel delivery, please give us a call at 518.427.8685 and we will be more than happy to assist you. Winters in the Albany area mean lots of snow and freezing cold temperatures. You rely on your home’s heating system to keep you warm no matter how frightful the weather outside gets. That’s why you need a heating contractor who can help with any heating need you might have. At Family Danz, we’re pleased to offer our customers in Albany and beyond complete heating services. When you work with Family Danz, you’ll get a wide range of heating services for your home. We offer our customers heating repair, heating maintenance and heating system installation. We offer a range of heating products to choose from, including gas and oil furnaces, gas and oil boilers, oil to gas conversions and ductless heating. What’s more, we offer 24/7 emergency repairs, even on holidays. Plus, you can count on Family Danz for quality home heating oil, too. At Family Danz, when we say we’re full-service, we mean it! We’re pleased to offer our customers premium quality fuel oils in addition to our array of heating services. We strive to maintain competitive fuel oil prices. Our daily heating oil price is prominently displayed at the top of our website, so you’ll always know the cost. For customers looking for a greener alternative, we also provide Bioheat®, a renewable, clean-burning diesel replacement made from a diverse mix of resources, such as agricultural oils, recycled cooking oil and animal fats. And, discounted budget and prepayment plans are available with automatic deliveries. Family Danz Heating & Cooling offers premium heating products and service, all while keeping your comfort and safety top-of-mind. We strive to provide for your heating needs unlike any other home comfort company, and we promise that you will be 100 percent satisfied after purchasing our products or services. Family Danz can help you stay cozy all winter long. Simply call us at (518) 427-8685, and we’ll be happy to assist with your winter heating needs. You Can Get Anything You Want from Family Danz! At Family Danz, Thanksgiving is always a time when we step back and think about how thankful we are for our customers. That’s why we work so hard to make sure we can meet a wide range of your needs. We’re much more than just a heating and cooling company, and nothing pleases us more than being able to keep you and your family comfortable on many different levels. But maybe you don’t know all the products and services you can get from Family Danz. When you choose us, you’ll get the very best HVAC services and much more. Heating: Family Danz is pleased to provide you with complete heating products and services. We are a proud Bryant® Factory Authorized Dealer, so you can rely on us for equipment built for energy efficiency and durability. We offer heating installation, maintenance and repair, offering boiler systems, furnaces and ductless heating made to provide you and your family with optimal comfort. Air Conditioning: You can rely on Family Danz to keep you cool all summer long, with air conditioning products and services for your home. We offer top-quality air conditioning equipment. What’s more, we’re full-service contractors offering you professional installation, maintenance and repair services. We can help you get central air as well as ductless cooling for your home. Plumbing: At Family Danz, you can count on us for complete plumbing services and products for your home. We offer hot water heaters, water filters, and water softeners. Plus, we provide the kitchen and bathroom plumbing you need to keep the water flowing properly throughout your home. Home Heating Oil: For the best home heating oil, trust Family Danz. We provide the best prices available on fuel oil, as well as automatic delivery and budget plans. Our heating oil contains detergents to keep your heating system running clean and at maximum efficiency, too. Additionally, you can choose Bioheat®, a renewable, clean-burning diesel replacement. And, we always list our price at the top of our website. Commercial Services: Aside from the comprehensive residential services we provide, you can count on Family Danz to provide your business with the commercial HVAC necessary to keep it running smoothly. We’re pleased to offer commercial heating and cooling, as well as refrigeration and chiller installation. Want to learn more about how we can keep you, your family and your business comfortable? Just give us a call at (518) 427-8685. We will be more than happy to assist you. At Family Danz, We Care About Furnaces in Schenectady! People living in Schenectady know winters can get pretty harsh. That’s why it’s so important to have a furnace that’s running perfectly. Not only is a properly-running furnace important for your comfort, it’s also necessary for your safety. And that’s where Family Danz comes in. We are full-service heating contractors, and that means we can help with just about any furnace concern you may have. We keep furnaces in Schenectady running great by offering maintenance and repair services, as well as premium-grade fuel oil. And, if you need a new furnace, we can help you there, too. We offer our customers the best new furnaces on the market. They’re made to be efficient, durable and reliable. As a result, you and your family will enjoy greater comfort all winter long and for years to come, as well as lower utility bills. Learn more about the furnace services Family Danz offers to Schenectady residents. Furnace Maintenance: When you choose us to help you get the furnace maintenance you need for your Schenectady home, we’ll do much more than provide annual preventive maintenance. You’ll also get priority scheduling in case of emergency, a 15% discount on parts and labor, 24-hour emergency service, and no overtime rates. Furnace Repair: Nobody wants to think about the furnace in their Schenectady home breaking down on the coldest night of the year. But, if it happens to you, it’s good to know you can count on Family Danz to help get your furnace back up and running safely. And, we can repair virtually any make or model of furnace available. Furnace Installation: Has the time has come for a new furnace in your Schenectady home? Then trust the pros at Family Danz to help you get the expert installation and quality system you deserve. We provide exceptional furnaces that are engineered to keep your home as comfortable as possible, all while offering energy efficiency. Commercial Furnace Services: Businesses and organizations in Schenectady rely on Family Danz to provide the best in commercial furnace services. We offer competitive bids with our personal guarantee that your commercial furnace service will be done professionally, within your budget, and with adherence to timelines and design. Oil Delivery Service: Residences and businesses in Schenectady keep their furnaces running with fuel oil from Family Danz. Our goal is to bring you the best home heating oil products on the market. When you choose us for fuel oil, you’ll get premium grade fuels at the lowest possible price – guaranteed. Family Danz is ready to help with the furnace needs of your Schenectady home. We strive to offer our customers the best in furnace maintenance, repair and installation. Our goal is to provide you with exceptional service that exceeds your expectations. If you need a furnace contractor in Schenectady, Family Danz is ready to assist you. Simply call us at (518) 427-8685 and we will be happy to help. It goes without saying that once winter makes its arrival, your furnace will be running again. If you have an oil furnace, you may decide to shop around for the best prices. Fuel oil can be expensive, and definitely is a significant part of your heating budget each winter. NYSERDA estimated as of Sept. 19, home heating oil prices in the Capital District averaged approximately $2.50 a gallon. Of course, those gallons add up when you’re heating your home over the long winter. At Family Danz, we always strive to bring you the lowest possible price on heating oil. We are pleased to offer our premium fuels to local residences and businesses. It’s always a priority that we offer competitive pricing to you, so you’re able to maximize your heating budget. We want you to get the best fuel prices available, which is why we offer our customers an oil delivery price guarantee. While we’re sure our fuel is priced the best – we put the cost per gallon at the top of our website each day – we will be happy to meet any price you find that’s lower. And, for your convenience, Family Danz offers budget plans to our home heating oil customers. Our oil budget plan gives you the peace of mind of regular, affordable monthly payments and no-hassle delivery. You’ll have the benefit of a fixed price on your fuel, so you’ll know what you’ll be spending each month. Additionally, you’ll have the added advantage of oil delivery, so you’ll never have to worry about running out of fuel. Don’t be left out in the cold this winter. Choose a trustworthy, reliable fuel oil delivery company in your area to help you with your home heating oil needs. Give Family Danz Heating & Cooling a call today at (518) 427-8685 to find out more about how we can help you stay warm all winter long – without breaking the bank! As you know, living in the Albany, NY area means that winters can be pretty harsh and cold. And, because of that, the cost of heating your home can be expensive. It isn’t always easy to budget for fuel costs, since heating oil prices can fluctuate. But, there is one way you can stay on top of your winter fuel expenses. By choosing an oil budget plan, you don’t have to gamble with fluctuating fuel costs. A budget plan allows you to get automatic delivery and guaranteed pricing that helps you plan for your home heating expenses. Family Danz is pleased to offer our customers oil budget plans that make heating their homes in the winter a simpler task. 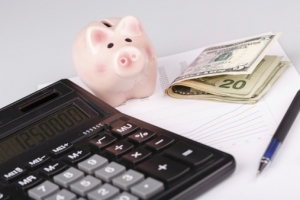 We’ll work with you to help you choose a budget plan that fits your home heating needs. For many customers, the biggest benefit of having planned fuel delivery is the fixed price. This allows customers to know what they’ll be spending on fuel each month, so there are no surprises when the bill arrives. 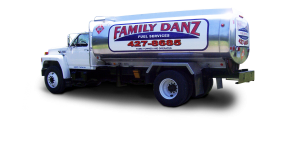 You’ll benefit from automatic fuel delivery from Family Danz. Another advantage is automatic delivery – you won’t have to worry about running out of fuel, even on the coldest night of the year. You can rest assured that Family Danz will keep your fuel tank fully supplied and ready, no matter what home heating demands your household will face during the chilly Albany, NY winter. Our drivers deliver the fuel you need to your home, whether you’re there or not, so you don’t need to worry about scheduling a time to bet there for your delivery. For many people, another benefit of an oil budget plan is that it helps during the holidays. Family Danz knows how tough it can be for a household to have to pay a large utility bill around holiday time. But when you choose a budget plan, you won’t have to struggle during peak season for fuel consumption – an oil budget plan allows you the peace of mind that comes with regular, affordable monthly payments, no matter what the oil prices might be. And, at Family Danz, we take great pride in providing our customers with premium-grade fuel oil. Our heating oil is specially formulated to not only keep your home warm and comfortable all throughout the winter months, but to also keep your equipment running great, too. Our home heating oil contains special additives that keep your system running clean and at maximum efficiency. That reduces service calls, extends the life of your heating system, benefits the environment and helps you save on your energy bills. Keeping your family safe and warm all winter long is easier than ever, when you choose Family Danz to help with your fuel plan needs. You’ll get automatic delivery – and a monthly price that works for you and your home heating needs. Just give us a call at 518-427-8685, and we will be more than happy to tell you about our budget plan options. Family Danz provides all the HVAC services you need to keep your home comfortable all year long, but did you know we can help with your fuel needs as well? We provide our customers with premium-grade fuel at the lowest prices – and that’s a guarantee. Our current fuel prices are always posted on our website, but if you find a price that’s lower than ours, we will meet it. For customers who prefer consistent fuel prices, we offer an oil budget plan as well, which provides them with automatic delivery and guaranteed pricing. Heating your home can be expensive, which is why you and your family need a budget plan you can rely on. At Family Danz, we strive to ensure our customers have an oil budget plan that has been specifically tailored to their needs. You’ll have the benefit of a fixed fuel price, so you’ll never have to guess how much you’re spending each month. And, the added advantage of your budget plan is automatic oil delivery at no extra charge, so you’ll be sure that you won’t run out of fuel, even on the coldest night of the year. We know how difficult it can be to have to pay a large utility bill at holiday time – with the budget plan, you’ll enjoy regular monthly payments so you won’t have to struggle with a large bill during peak fuel consumption season. Our drivers are happy to deliver fuel oil to your home, whether you’re home or not, so you never have to worry about scheduling a time to be there for your delivery. We’re pleased to offer our customers quality fuel oil, kerosene and Bioheat, a better choice for our environment, as it is non-toxic, biodegradable, and is essentially free of sulfur and other impurities. It is a renewable, clean-burning diesel replacement made from a diverse mix of resources such as agricultural oils, recycled cooking oil and animal fats. Our regular home heating oil is also great for your heating system – it contains special detergents that keep your system running clean and at top efficiency. These fuel oil additives reduce service calls, extend equipment life, benefit the environment and help you save on your utility bills. So when you’re looking for a company to help you stay fueled all winter long, make sure you give Family Danz a call. We will be happy to discuss our delivery plans with you, including our oil budget plan. Call us today at 518-427-8685, and we will be more than happy to help you meet your fuel oil needs this winter. The HVAC system in your Albany, NY home is one of the most expensive – and important – investments you’ll make. You need a home that’s warm and cozy in the winter, and cool and comfortable in the summer, and your equipment helps you achieve both. Because your system is so important, you need an HVAC contractor who can help you get all of the services you need, whether you need furnace repair or air conditioning maintenance. You want a contractor who looks out for your best interests, cares about the comfort of you and your family, and is trustworthy. How long the company has been in business: It’s important that the company you choose has some longevity in the area. Why? A company that’s been in business for a long time has done so for a reason. They’ve earned the trust of their customers, and have the experience you want for your Albany, NY home. At Family Danz Heating & Cooling, we’ve been helping people with their HVAC needs for more than 30 years. The brands the company offers: Does the HVAC company you’ve chosen install brands you recognize and can trust? You should be able to research a brand easily so you can learn about their product offerings – and their reputation. At Family Danz, we proudly install the Bryant® lineup of quality HVAC equipment. In fact, we are pleased to be a Bryant Factory Authorized Dealer. 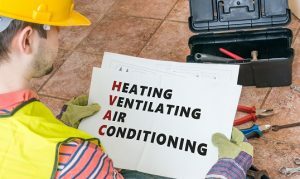 If the company is licensed and insured: When you choose an HVAC contractor for your Albany, NY home, it’s extremely important that you choose a company that has the proper licenses, insurances and registrations. You can rest assured that Family Danz is licensed and insured. As a BBB accredited business, we are required to fulfill all licensing and bonding requirements. We’re proudly an A+ rated business with the BBB. If the company has references: Some of the best advertising an HVAC company can ask for is word-of-mouth. If an HVAC contractor is right for your Albany, NY home, chances are there will be customer references available. At Family Danz, we post customer comments on our website, so you can review them before you make up your mind as to whether or not we’re right for you. When you choose Family Danz for the HVAC needs of your Albany, NY home, you’ll have access to the numerous products and services we offer. For your convenience, we provide a complete range of HVAC services to ensure your heating, cooling and home heating oil needs are met. In addition, we can assist you with your commercial HVAC applications, as well as any plumbing needs you might have. Choosing the right HVAC contractor for your Albany, NY home is as easy as calling Family Danz. Just give us a call at 518-427-8685 and we will be more than happy to help meet your needs. What’s In the Heating Oil Keeping Your Albany, NY Home Warm? Just because it’s spring doesn’t mean the furnace in your Albany, NY home won’t kick on every now and then, especially at night when warmer temperatures often dip down again. As upstate New Yorkers, we know we’ll probably have to rely on our heating systems well into spring, at the very least to take the chill off when the sun goes down. For that evening warmth your family enjoys, you can thank a brontosaurus. Most of us only think of the Family Danz delivery truck filling up our tank with the heating oil we need for our Albany, NY homes. Most people don’t give much thought to what that heating oil is actually made of. According to the U.S. Energy Information Administration, our heating oil, which comes from crude oil, is what’s called a fossil fuel. That means it is comprised of hydrocarbons that formed from plants and animals that lived millions of years ago. (Cue the brontosaurus.) In the U.S., crude oil is produced in 31 states, with most of it coming from Texas, North Dakota, California, Alaska and Oklahoma. The heating oil Family Danz delivers to your Albany, NY home isn’t crude oil, though. It has been refined using a complex process that, essentially, breaks the oil down into components that are then converted into new products. These new petroleum products are used for such things as powering motor vehicles, paving roads, generating electricity, and of course, heating your home. There are different grades of oil, but you can rest assured that the heating oil Family Danz supplies to your Albany, NY home is premium grade fuel, provided to you at the lowest possible price. Our home heating oil contains special detergents that are formulated to keep your heating system running clean and at maximum efficiency. These heating fuel additives reduce service calls, extend equipment life, benefit the environment and save you money. When you choose us to help meet the heating oil needs of your Albany, NY residence, you can schedule automatic delivery at no extra charge. Discounted budget and prepayment plans are available with automatic deliveries. Or, if you prefer to give us a call when you need a home heating oil delivery, we kindly recommend that you call us when your tank gauge is between half and a quarter full, in order to allow ample time for scheduling delivery. If you need heating oil for your Albany, NY home, no need to go Jurassic… just call Family Danz at (518) 427-8685, or fill out our online form to schedule your next home heating oil delivery and to ask about our convenient payment options. When you’re looking for a boiler contractor to help you with your home heating needs, you need a company you can rely on. ENERGY STAR suggests looking for a contractor with the right credentials, references and quality product offerings to best meet your needs when it comes to home comfort. When you choose Family Danz to help, you’ll see that we’re a Bryant® Factory Authorized Dealer, and that as such, we offer you top-of-the-line Bryant heating products including boilers for your Albany, NY home. And, when you browse our website, you’ll see that we have many satisfied customers as a result of this. Boiler Maintenance: One of the best ways you can ensure the boiler in your Albany, NY home is running at maximum effectiveness and efficiency is through regular boiler maintenance. When you choose Family Danz Heating & Cooling for your boiler maintenance plan, you’ll receive priority scheduling for emergency services, a 15 percent discount on parts and labor, 24-hour emergency service and no overtime rates. 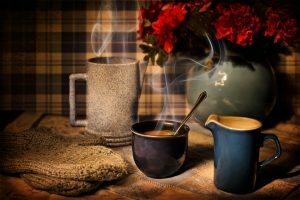 Boiler Repair: One of the worst things to deal with as a homeowner is having the boiler in your home stop working on the coldest night of the year – but that’s when it always seems most likely to happen. If you’re faced with a boiler repair emergency in your Albany, NY home, Family Danz can help. Our technicians are factory-certified and will thoroughly evaluate your boiler repair needs to find the best possible solution. Gas Boiler Systems: Is your old gas boiler just not as efficient and effective as it used to be? No need to go through another chilly winter without being comfortable in your Albany, NY home – Family Danz Heating & Cooling can help you stay warm and toasty with a new gas boiler system. We’ll install high-quality equipment in your home so that you and your family can enjoy better, more efficient boiler heating safely. New Boiler Installation: For professional boiler installation in your Albany, NY home, count on Family Danz to help. We’ve been providing our customers with quality installation and the best boiler brands for more than 30 years. We proudly offer high-quality, energy-efficient boilers that will keep you and your family comfortable, and also will provide you with improved energy efficiency – and savings on your energy bills. Finding the right contractor to help you with the boiler in your Albany, NY home doesn’t have to be difficult – not when you count on Family Danz Heating & Cooling to help you. When you rely on us to meet your boiler needs, you’ll be working with a company that maintains the Bryant standard in all that we do. We’re A+ rated by the Better Business Bureau, and we have numerous customer testimonials to back that up. We strive to provide the very best boiler products and services available throughout the Albany, NY area. When you need us, just give us a call at 518-427-8685 and we will be happy to help meet your boiler needs.